The sea is one of the most powerful things on the planet. You don't need to be a surfer to know that. The ocean is constantly moving due to wind, tides and currents. And movement potentially is electricity. No wonder tidal and wave energy have been high on many government agendas for the last couple of years. Scotland is taking a first serious step towards this alternative and endless energy source. The Scottish government approved ten marine energy projects that, if all goes well, could provide electricity for one-third of the nation’s homes by 2020 and make Scotland the world leader in ocean energy. It's not a small investment. 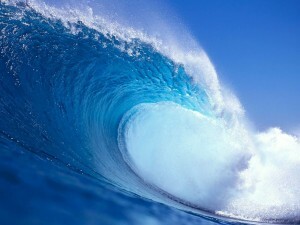 Construction of the ocean 'power plants' is estimated at £4 billion (about €4.5 billion / $6.1 billion).